Innovative. Diligent. Knowledgeable. Ethical. Compassionate. Futuristic. DTLA LIFE is a premier, full-service lifestyle and real estate firm that has been on the forefront of the thriving redevelopment scene in Downtown LA since 2000. DTLA LIFE principals, Alex LiMandri and Jim White, and their multicultural team use a holistic approach to support their unique “Make It Yours!” mantra when assisting buyers, sellers, investors, and project developers in all facets of residential and commercial real estate marketing, leasing and sales. Simply, clients become family – theirs and greater Downtown LA’s. On a large scale, DTLA LIFE will move mountains for “their family” by utilizing the most sophisticated technological platforms and far-reaching connections to achieve goals, as evidenced by over $500 million in sales closings in Downtown LA since their inception. DTLA LIFE also provides very personalized services for their family of clients by facilitating introductions to vendors including Downtown LA financial planners, bankers, interior designers, contractors, cleaning services, dog-walkers, movers, artists, event planners, retail store owners, restaurateurs, gallery owners, and city government officials. The landmark Higgins Building takes downtown history full circle. 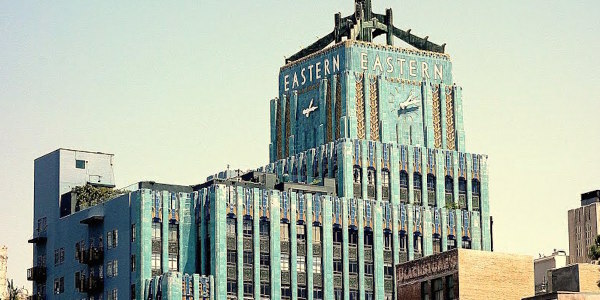 It was conceived in 1910 by copper tycoon Thomas Higgins, and ..
Gorgeous 1BR loft in the highly sought-after Eastern Columbia building, the jewel of downtown Los Angeles. 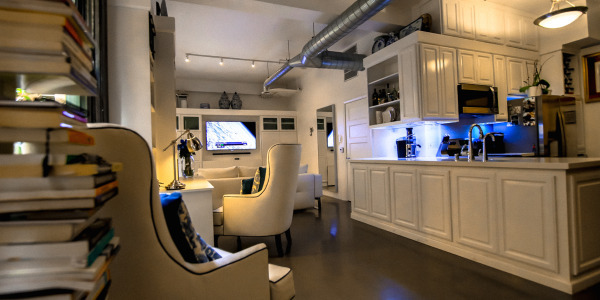 The Broadway facing unit ..